help stray animals in China! The youth represents our future. Your support will make the difference. 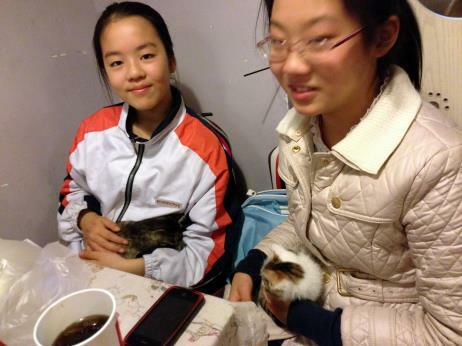 The Anti-Fur Society has been working with rescue groups in China, helping with TNR trap/ neuter/return for several years. Many groups have benefited from our support which comes from donations, and private donations from the founder. Let's not forget that Nanjing is the initial place where cats are picked up by illegal cat traders, shipped to South of China and sold for meat and fur. Anything we can do to help the strays in China, will be much appreciated by all of us and especially by the rescued animals. Attention Creates Change is the mission of a newly formed group, Mao Pu Da in Nanjing, China, which is dedicated to TNR of street cats. TNR is rare in China and even rarer in Nanjing, China. But, a high school student, Kevin, read about it on the RSPCA website and braved a new frontier formulating, with co-founder, Chaser, an organization dedicated to the Trapping, Neutering and Releasing of feral and stray cats who are being fed in parks and community by caring feeders. 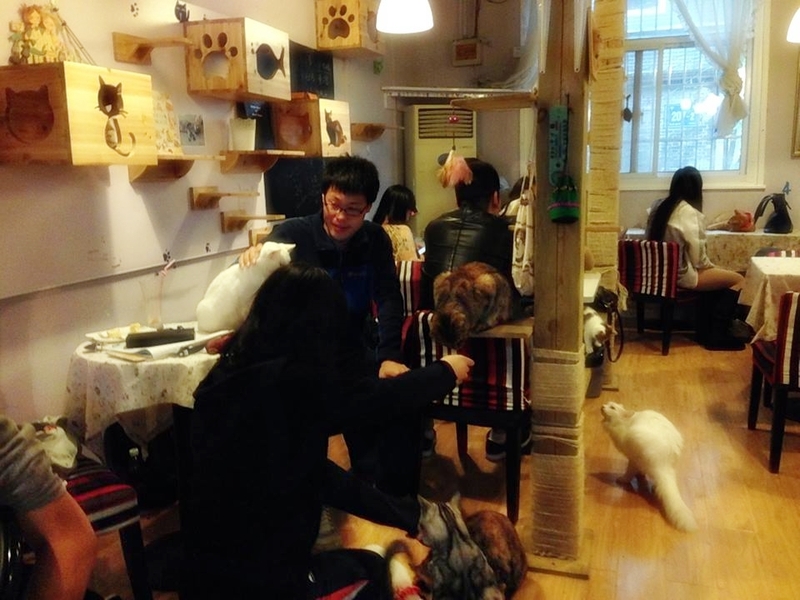 The organization, which currently has around 500 young, mainly university students as members, teamed up with the owner, Mr. Dau Dau of the Da Dou Dou Cat Café, at No. 205 Ning Hi Rd. 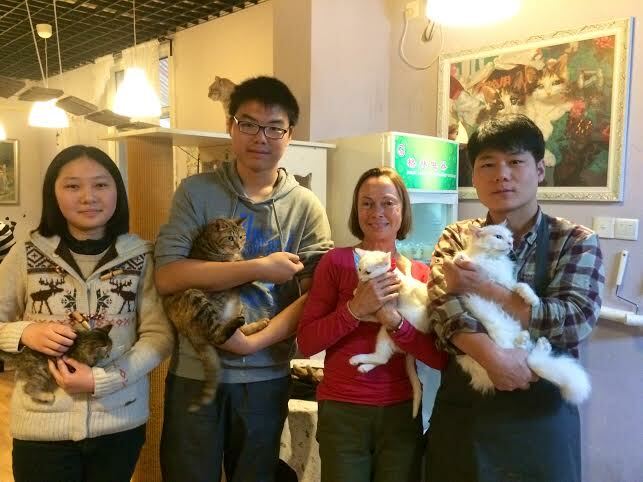 to promote attention and kindness to cats, especially street cats (founders L – R pictured in photo with Sharon Methvin). The group will sell Tee Shirts at the cafe and other locations around Nanjing on behalf of MPD that promote kindness to animals and TNR. All proceeds from the sale of the shirts will be used to fund TNR. No amount is too small, please help!